If these collective bargaining “reforms” don’t stop, health care benefits will no longer be part of the collective bargaining process. Ed. note: Police associations and unions that bargain over health insurance will have to organize and fight the effort, like this one in Iowa, to remove the right to negotiate health care benefits from the collective bargaining process. State officials want to remove health insurance benefits from new union contracts with state and local government workers, eliminating those items from Iowa’s collective bargaining law for public employees. According to a story today in the Des Moines Register by William Petroski and Brianne Pfammemstiel, Iowa Governor Terry Branstad said the proposal is part of a plan being explored to have all of Iowa’s public employees, including those from the state, cities, counties and school districts, placed under one large health insurance program with the goal of providing quality coverage at a lower cost. “The problem is that you have all these little contracts. If you have a few health problems, everybody’s premiums go through the roof,” Branstad told reporters. The concept being explored by state officials would establish a statewide health insurance plan for public employees that would be similar to the Iowa Public Employees’ Retirement System, known as IPERS, which provides pensions for public workers, he said. “I think public employees understand IPERS and what a good program it is, and it is uniform for everybody,” Branstad said. “We are looking at: ‘Could we do that with health insurance?’ So we could provide good quality health care coverage and do it at a lot less cost. That is what we are examining.” IPERS’ pensions are not determined through collective bargaining under Iowa law, the governor noted. Janet Phipps, director of the Iowa Department of Administrative Services, unveiled Branstad’s proposal in contract talks Monday with the State Police Officers Council, a bargaining unit representing about 600 sworn officers, including troopers, criminal investigation agents, drug enforcement agents, fire marshal’s agents and inspectors, as well as conservation officers and park rangers. Phipps said her department’s proposal is based on the possibility that changes could be made in the state’s collective bargaining law for public employees during the 2017 session of the Iowa Legislature, which convenes in January. 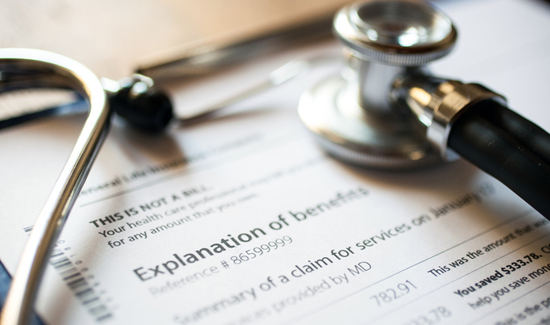 Under the proposal, the state would still agree to provide health and dental benefits to all eligible bargaining unit members, but the contract would no longer specify the level of benefits, which would be determined by state officials. It’s expected that the Department of Administrative Services will make a similar proposal in contract talks Wednesday with Council 61 of the American Federation of State, County and Municipal Employees, which represents about 18,500 state workers. In addition, if the Legislature rewrites the state’s collective bargaining law, the changes could also apply to city, county and school district employees throughout Iowa. Phipps told reporters she isn’t positive what the Legislature will decide. But with Republicans taking control of the Iowa Senate during the Nov. 8 elections, while growing their majority in the Iowa House, she said, there has been talk about changing the state’s collective bargaining law for public employees. Branstad, also a Republican, has repeatedly expressed concerns that Iowa’s collective bargaining laws are tilted in favor of public employees’ unions at the expense of taxpayers. Under current Iowa law, any insurance is a mandatory subject of collective bargaining for public employees’ unions. Jason Bardsley, a state trooper who is president of the State Police Officers Council, called the state’s proposal “very concerning,” particularly in light of the recent slayings of two police officers in Des Moines and Urbandale, and other attacks on law enforcement officers across the country. “Insurance is a crucial piece of our benefits for our families and employees of the state of Iowa who go out every day and put their lives on the line. For that to be stripped away, it would be very concerning for our membership to have to worry about what would happen if something does happen,” Bardsley said.